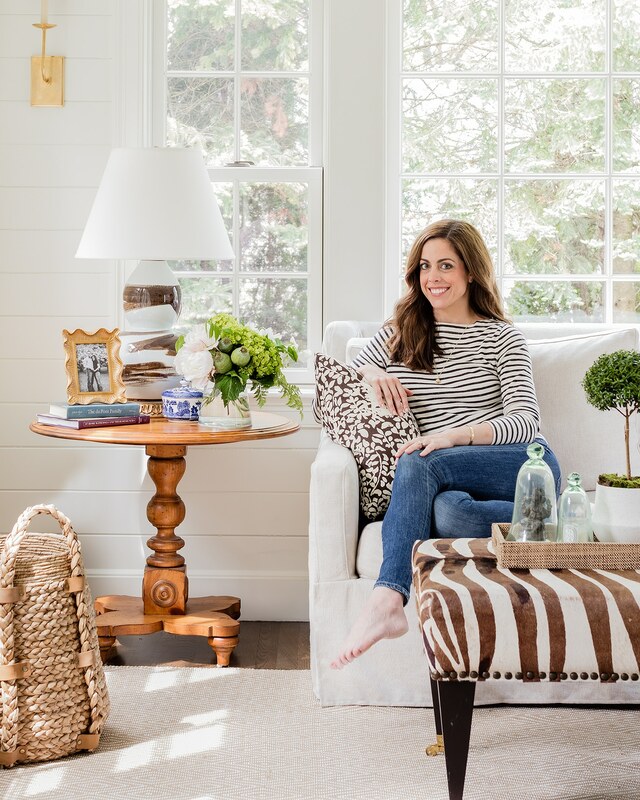 Boston native and design expert Erin Gates has plenty more to say about style. After her 2014 smash hit book, Elements of Style, Gates is back with its follow-up, Elements of Family Style, which seeks to help the reader redesign their home post-baby bump. A lot has changed since Elements of Style, your first book, came out in 2014. How has your personal style evolved over the years? ERIN GATES: Since having my son, I've certainly begun making more informed decisions about materials and the sturdiness of pieces, but I also have stopped trying to follow trends. I think I've settled back into more traditional roots, but with a little twist of modernity. I want my house to be as comfortable as it is beautiful and an easy place to collect pieces that mean something to me and reflect our family's story—not just a space to try to make some sort of statement. Was there a moment when you started to realize the importance of cultivating pieces for your dream home? EG: We have worked hard on renovating and expanding our little house, and while this home won't be our forever home (still on the hunt for that!) I want to acquire pieces that will come with us wherever we go. High quality, well-designed classic pieces are mainstays no matter where they live. Art as well—I don’t want to buy pieces that only work in one specific space—I want my art to travel with me. I want a home full of things I have bought over the years that remind me of a place in time. How do you plan your spaces? EG: I think first about function and then about aesthetics. A pair of sofas may look best in a living room, but if you know a sectional is going to work best for your family—let's focus on making it the best looking sectional ever! I also like adjoining spaces to have some kind of common thread, usually color wise, but they don't all have to match perfectly as that can look like a hotel. What's the most splurge-worthy piece you own? EG: I commissioned a huge piece of art for my living room by Kayce Hughes that was a real treat for me. I absolutely love it and it makes the space completely! I imagine you must have a favorite room in the house? EG: Functionally, our new family room is my favorite—I worked on it with my dad's architectural firm, and it really improved the usage and size of the home. And the vaulted ceilings and see-through gas fireplace are both show stopping and delightful. Decor-wise, my formal living room is my favorite—my custom light blue velvet sofa is to die for. EG: That a successful space will always mix new and old, high and low, global and local. Where do you find yourself turning to for design inspiration? EG: Instagram is my biggest source—it's so wonderful to be able to follow other designers in parts of the country I would not have known about otherwise! I love following the work of designers and other tastemakers who have different styles than my own personal style as well—it really helps stretch the imagination. EG: My Breville coffee machine—can't live without it. What's one design trend you love and one you hate? EG: I love the warmer, simple but custom English-inspired kitchens I've been seeing more often these days. But I hate the boho, macrame wall hanging, mid-century ad nauseam look. So over it.